Are Designer Paints Any Good? Designer paints, are they really any good? Or are you just paying for expensive marketing teams and covering the rents on expensive shop locations? Well, beauty is in the eye of the beholder as they say, and there is no right answer as to whether a posh paint is right for you or not. If it’s what you want, who is anyone else to disagree with your decision. All paints will give a slightly different finish and if you have your heart set on a certain finish, our advise is go for it, buy what you want. However, if you are matching paint on a quality basis and value for money, then designer paint may not be for you and you do have options to get the same look at a fraction of the cost, without compromising on quality. Like most things in life, it’s a misconception that just because it’s more expensive, it’s of better quality. That is simply not true. Any of the major household brands such as Dulux, Leyland, Johnstones have to meet a certain standard. So quality wise, each brand does have its premium products and it’s not so good ones. Averaging out across the board, all designer paints and high street brands are of a decent quality and GS Decorating would not put one down over the other. As this blog is a summary of the different designer paints, I will refrain from digging to deep into any brand. If you would like to read more in-depth reviews on the different brands please click on the links (more to be added soon). As professional high quality decorators London, GS Decorating are accustom to using all types of paints and as with anything in life there are plus and minuses for everything. But the real question for a customer is, are you paying double the amount for an inferior product, that is not as good as the high street brands? But they do have a lovely label on the tin!? Think of designer paint, like fashion. You have the high-end designer fashion and you have the high street. One thing that you really can’t knock designer paint brands for, is the colour palettes they create. A lot of time and effort is put in by these companies to recreate traditional paint colours and have signature looks and finishes. Exclusivity is where I am heading with this one. In general you pay approximately double the price per tin, to have a paint that not many other people use. There are certain products within each brand that have other benefits, such as Little Greene Oil Based Eggshell for painting kitchen and woodwork (it’s just bloody good paint!). Or Farrow and Balls Distempers and Limewash paint, used for specialist applications. But again in this post I am talking about the everyday uses and staying general about the benefits of Designer Paints. Modern manufacturers have started to cotton-on to the trend in ‘traditional’ paint colours, made popular by ‘traditional’ paint brands such as Little Greene and Farrow and Ball. With Dulux releasing its Heritage colour range. ‘Traditional’ paints do in my humble opinion have much deeper depth to their colour range. I love the deep colours, but that is just me, and it really is horses for courses. 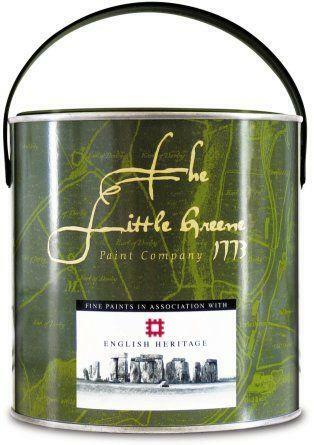 Companies such as Little Greene Paint have spent a lot of effort commissioning experts in historical paint research, such as a British company called CrickSmith (who are without doubt the leading experts in historical paint research in the UK, maybe even the world), to research and develop colours that have significant historical meaning. Click on the link on their name to see more of their work. It’s guys like this who spend hour upon hour researching some of the UK most famous historic buildings to uncover colours that were once famous, but have been lost over time. Do you want the same colour on your walls as Henry 8th had in his bed chambers? Or Queen Victoria’s study? Then it’s these guys that will tell you how to get that. It’s only through the effort these people put in and the money invested by the designer/traditional paint companies that will keep new (or should we say old) colours hitting the general high street. So this is really one of the things your paying for when you buy a posh paint (as well as the marketing teams and expensive store locations). The answer is yes! However, I am not going to delve to far into how you do it. Up until recently you could walk into your local trade decorating store and ask them to mix what ever paint you wanted in a high street product. 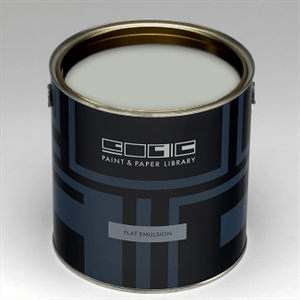 You could ask for Farrow and Ball Elephant Breath in Leyland, and a tin of Leyland colour match to near exact would be handed to you. However, now companies have wised up to this and there are movements in the higher echelons of power in the paint world, to stop this behaviour. My advise is yes, you can match any existing colour, it can be done. But go down to your local decorators merchant and ask what they can do. The main ones are: Dulux Decorating Centres, Leyland & Johnstones, Crown Decorating Centres, and if you’re in London Leyland Specialist Decorators Merchants. All you need is a good sample of the colour on a flat piece of paper, from hear the staff in your decorators merchant should be able to scan it in and match pretty damn closely. A quick tip – If we were to colour match Farrow and Ball we would use Leyland Paint to do it. Is the Finish of a Designer Paint Different to a High Street Brand? If you live in a modern property, you really don’t need the depth of finish that a traditional paint brings, personally I don’t like traditional paint finishes in modern properties (that is only my opinion) I prefer the finish, say Dulux will give. However, in a period home and I myself live in a turn of the century cottage, I prefer a designer paint finish. In Summary Posh Paints are defiantly not bad and if you can afford it and want them, go for it. The colours are great, many have true historic meaning and you’re not likely to see the same one in your neighbours semi down the road. Also if you live in a period property I would defiantly go for a traditional paint. But don’t make the assumption that because it’s more expensive, it’s better. Ang Craig & Rose 1829 “chalky emulsion”? Is that good? I used some Farrow & Ball emulsion previously and found it went on easily but has cracked and–in a damp bathroom–is suffering badly from mould. Ian, Chalky Emulsion is not designed to be a paint for bathrooms. I would recommend using the eggshell within the range. 1829 was not only the time that Craig & Rose started making paint but the range was put together by the late Colin Mitchell-Rose who was involved with the manufacture of paint all his life. Colin was also heavily involved with the Traditional Paint Forum and the chalky feel of 1829 represents the ‘distemper’ effect that would be achieved prior to emulsions being available with a very rich matt effect. I bought a large quantity of Laura Ashley paint in the recent sale. I am about to start decorating but now worried as I have seen reviews saying it can be blotchy or “like painting with milk”. Are you able to advise please? Many thanks.